On the morning of the 30th March, 1917, a timberman named William Henry Dixon was drawing out timber in a part of the mine which it had been decided to abandon, and Morris was assisting him in this work. They had been at work for an hour when, owing to the collapse of a pair of timbers, a fall of roof and sides occurred. Dixon was caught by the fall and fell in a sitting position, being buried up to the neck with rubbish and timber, about eight tons of which had fallen. Morris was eight yards away when the fall occurred, and at once responded to Dixon’s call for help, and, although heavy stones were still falling from the roof, and Morris was urged by Dixon to stand back, he persisted in his efforts to release his fellow-workman. A large stone was then seen to be in imminent danger of falling on their heads, and with commendable presence of mind Morris ran back 20 yards for a piece of timber, which he fixed in a slanting position over Dixon to support the stone temporarily. Morris then restarted uncovering Dixon, and succeeded in releasing him in about twenty-five minutes after the accident occurred. Dixon was badly bruised and cut all over his body, and while his injuries were being attended to by Morris, who himself suffered from cuts, the stone, which had been supported temporarily and which weighed about two tons, fell to the ground on the place where the men had been, and would undoubtedly have killed them both had the rescue been effected less expeditiously. Morris displayed coolness, intelligence and initiative. He was 600 yards from the nearest man working in the mine, and if, as is the usual custom, he had gone for help, Dixon would have been buried by the falling debris and have lost his life. 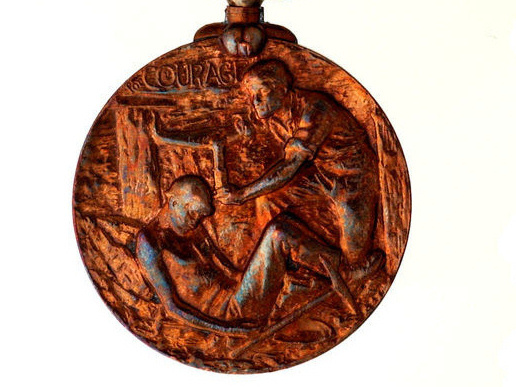 The Edward Medal was introduced in 1907 to recognize bravery of Miners and Quarrymen in endangering their lives to rescue their fellow workers. 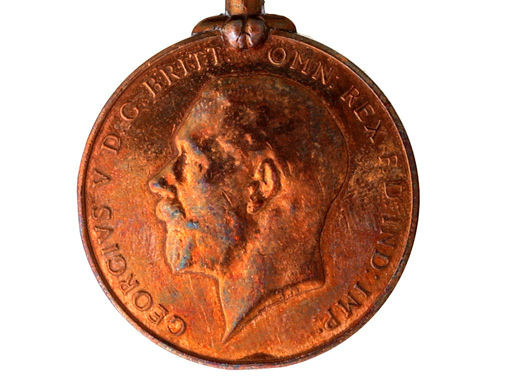 The Edward Medal (Mines) is one of the rarest gallantry medals, only 77 Silver and 318 bronze medals were awarded. 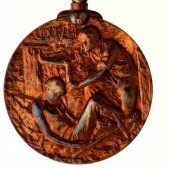 Living recipients of the Edward Medal (Mines) were invited in 1971 to exchange their Edward Medal for the George Cross. 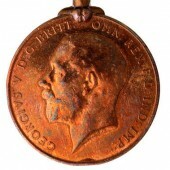 However, 2 silver and 7 bronze Edward Medal holders decided not to exchange their medals. Grateful thanks to Bryan Boots and Big Pit: National Coal Museum for their help in creating this item.